Hello everyone. 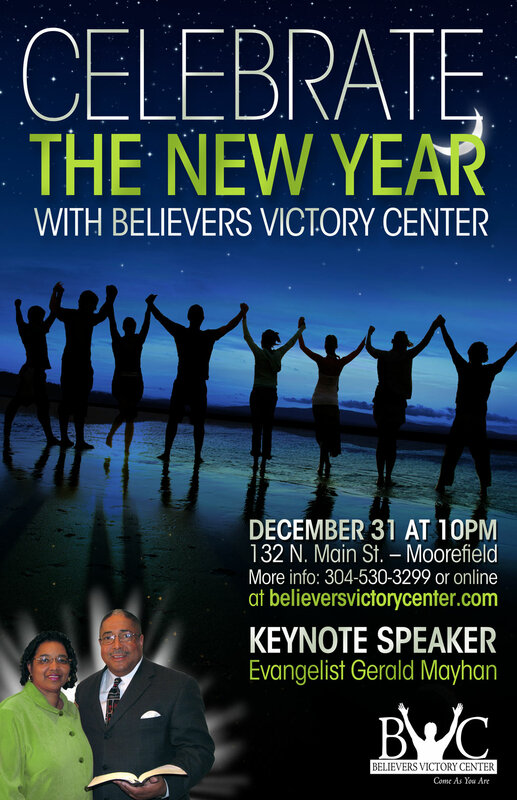 Just a reminder that tomorrow night we are going to bring in the New Year with Evangelist Gerald Mayhan at Believers Victory Center. The BVC Praise Team will be leading us in powerful praise and Evangelist Gerald will be preaching like a man from another planet. If you have children, bring them in their pj’s. Our Children’s Department will be in full swing offering some great activities for your special little one. 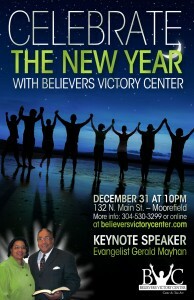 Invite a friend and come ready for a great time as we bring in 2011.